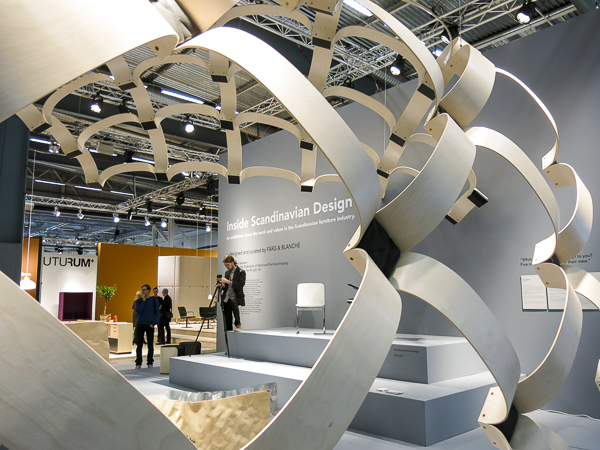 The Stockholm Furniture and Light Fair 2015, took place in conjunction with the Deign Week 4–7 February 2015, with the 7th being the day when people like me, the non-professionals, had access to the fair. I spend 4.5 hours there, the main time in Halls A and B, a short visit to the Green Room and a fast walk-through of Hall C. These are the photos I shot, of things I enjoyed watching. It is in no way representative for the entire fair, but my personal items of interest. My thoughts about the fair and the trends you find in either my English blog or my Swedish blog. Small round table with table-lamp built in. A really comfortable chair. Upper table can swivel. Blå Station. Wool carpet. Nice and soft despite its rough look. 1, 2 or 3 lamps for the wall. Frequently recurring kind of lamps in different shapes, all transparent glass. Charging station in the form of a stone. Lamp with plants the top of it. Sibling to my table lamp, History. This in another color.